Labor Day weekend is not just the unofficial end of summer, it is statistically one of the most dangerous times to be on the roadways as a high number of traffic fatalities usually occur during this holiday period. In fact, the National Safety Council estimates that we could see 405 fatalities across the United States this Labor Day weekend. The Citrus County Auto Accident Lawyers at Whittel & Melton want you and your family to be safe this Labor Day weekend, so we have put together the following driving tips to hopefully make your Labor Day excursions a safe and enjoyable experience. Before getting behind the wheel, make sure all of the fluids in your car are replenished, your tires are in good condition and that your brakes are working properly. It is always a good idea to keep an emergency kit tucked away in your vehicle with a tire gauge, jumper cables, a flashlight and a tool kit should something go awry. With that said, bringing along a first-aid kit with emergency supplies like water, food, bandages and blanket is always a good idea. While this may seem like a no-brainer, it is not out of the ordinary to see drunk drivers on the roadway. Every Labor Day weekend people die due to alcohol-related auto accidents. If you are going to consume alcohol this holiday, make arrangements for a designated driver or an alternative way to get home before you set off for your destination. The NSC estimates that as many as 148 deaths could be avoided this weekend if people wear their seatbelts. No matter how short or far the distance, buckle up when in the car! Make sure that children are in safety seats appropriate for their size and that they are fastened in. Driving fatigued or distracted can be just as dangerous as driving while intoxicated. If you are feeling sleepy or are having trouble keeping your focus on the road, pass the wheel to someone else or postpone your trip back. Listen to your body and know your limits. Sometimes pulling over at a rest stop, even if just for a few minutes, can help you make it back safely. Avoid using a cell phone, GPS or any other devices that could possibly pose a threat to your driving. 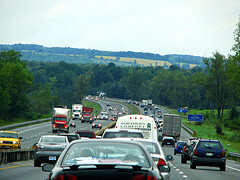 If at all possible, plan your return trip for when the roads are not so busy and congested. Peak traffic hours tend to be in the late afternoon or early evening, so think about getting on the road before 4 p.m. or after 10 p.m. The Citrus County Personal Injury Attorneys at Whittel & Melton want you to have fun this Labor Day weekend and enjoy the holiday in a safe manner. However, should you or a family member become injured, we are here to help. You can call us 24/7 at 352-726-0078 or contact us online.